The Hailun H-33P is the perfect example of the premium 50"/133cm upright piano. It has a full resonating sound resembling a grand piano. Furthermore, it also has a highly responsive touch specially designed for the performer's taste. The H-33P is definitely the perfect choice for anyone that wish to own a piano that is both fabulous in sound and rewarding in touch. 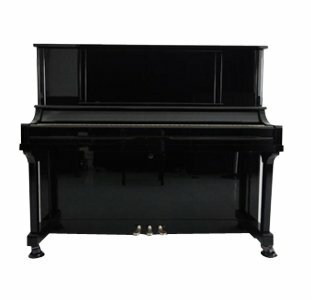 This piano comes in an ebony polish finish while the legs and the fallboard come in an elegant mahogany detailing. Finishes: Ebony Polish, Mahogany Polish, Walnut Polish. For more information, please contact Hailun Asia.